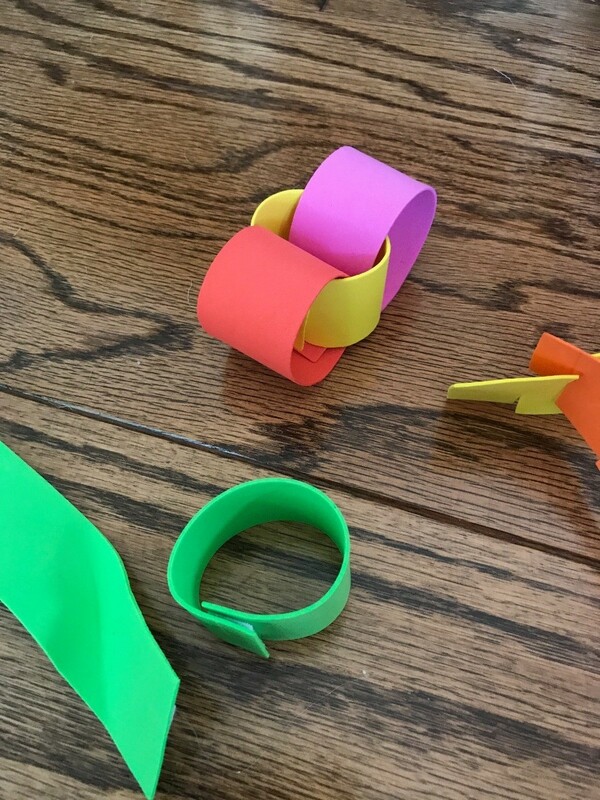 This is an easy activity for kids to practice their cutting skills, motor skills, and sense of creativity! 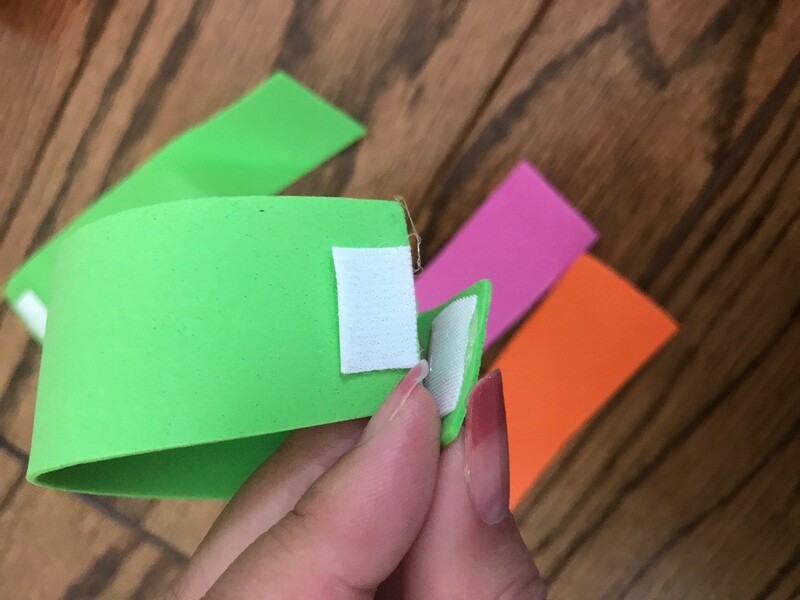 These strips allow kids to learn to connect the foam pieces together, balance, and use their imagination. This activity is endless and can be used with other toys. 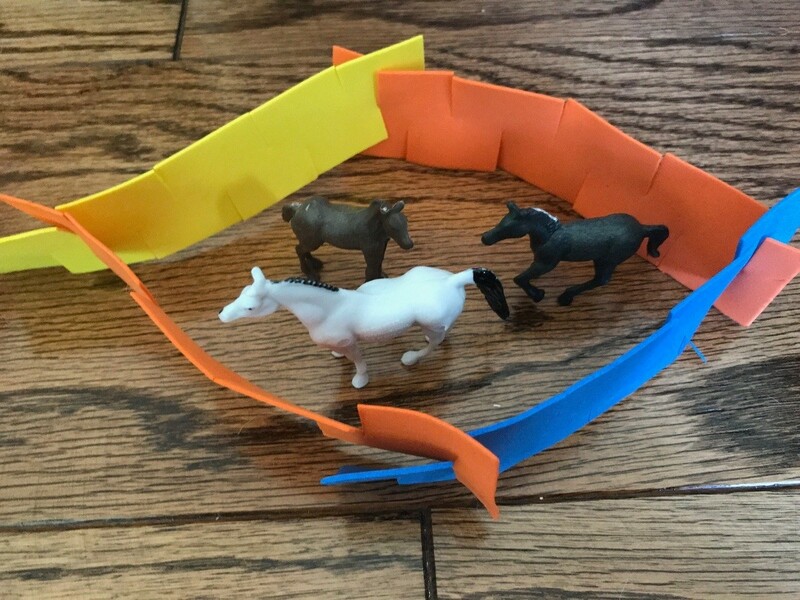 For instances, below the foam strips are used as a barn to hold the horses in. Some days the foam is built into a parking lot. The links are used as car tunnels, hauling construction, linking for fun, counting, and so forth. Depends on the child. 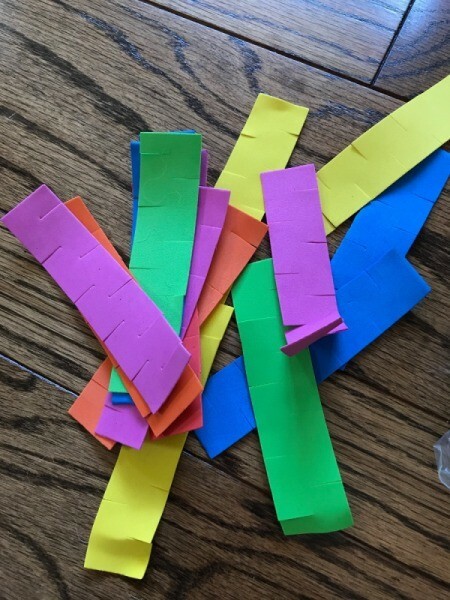 I cut strips of assorted color foam. Then, allowed my child to help cut the slits. For the links, do not cut slits on the foam strips. Using hot glue, apply the Velcro backing on the back. And on the other side, opposite side apply the other backing so when curled you can link them. 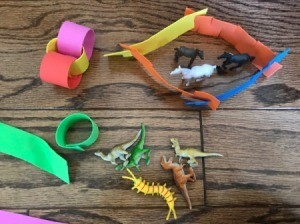 Use the foam strips to create many play structures and toys.They can be used as a barn to hold the horses in. Some days the foam is built into a parking lot. The links are used as car tunnels, hauling construction, linking for fun, counting, and so forth.